Honeycomb / Cellular shades are among the most popular of all window coverings due to their crisp, clean style and versatility. 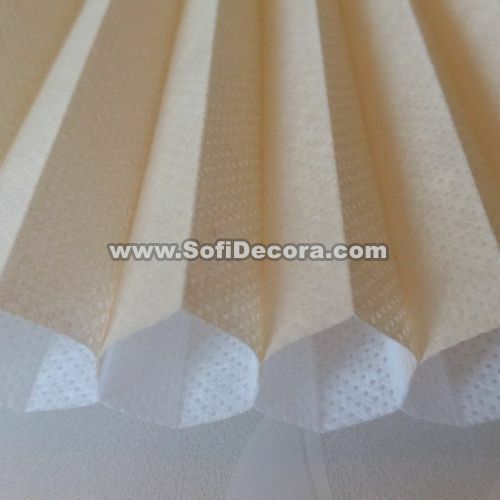 The soft, yet durable, shades are available in single and double honeycombs for better energy efficiency. 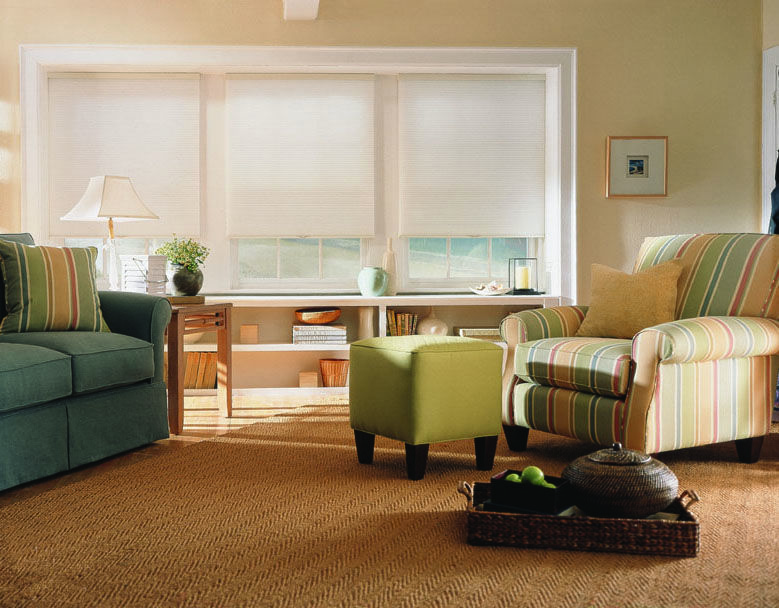 Choose from a wide variety of light-filtering or room darkening fabrics in hundreds of colors. 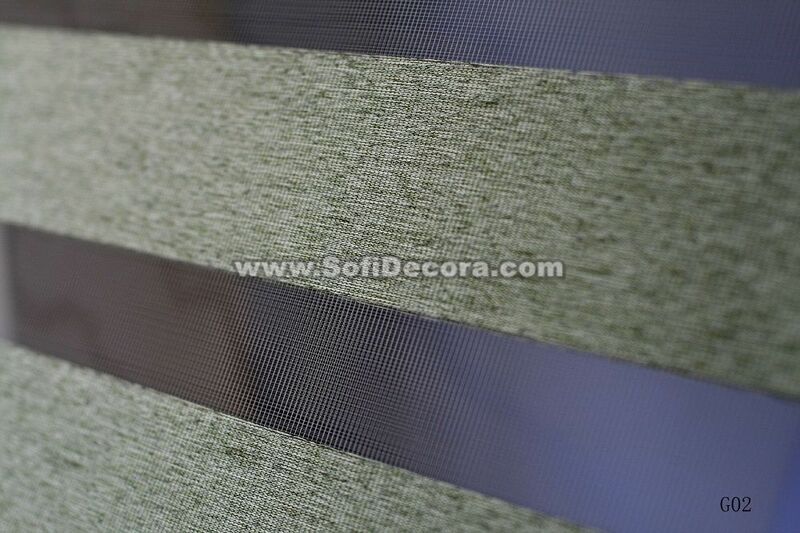 Available in several pleat sizes (larger pleats are more energy efficient). When raised, shades are compact, giving you a clear view. 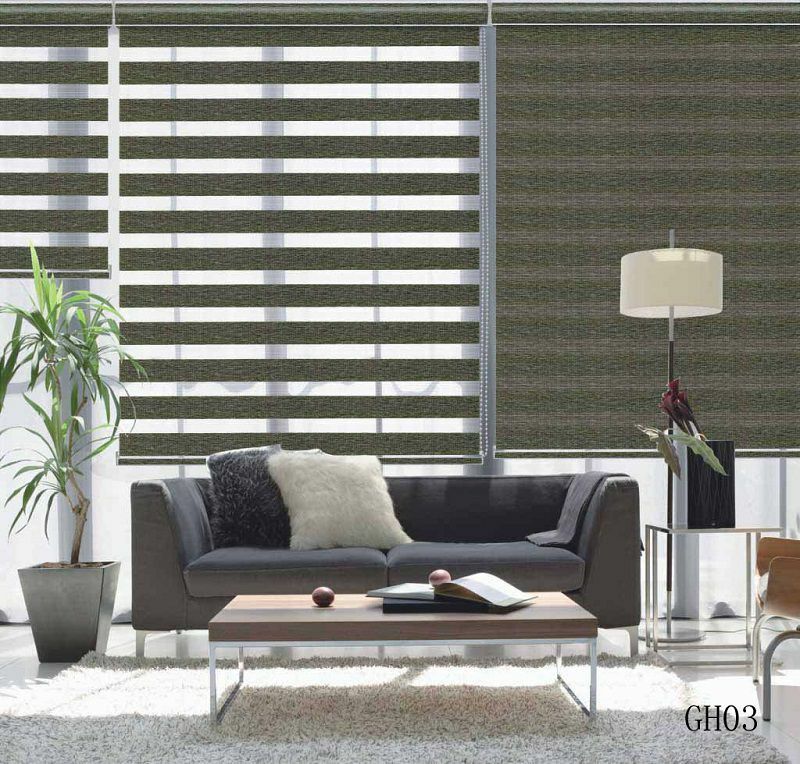 Semi-Honeycomb / Cellular shades are bonding the advantage of both cellular shades and pleated shade. 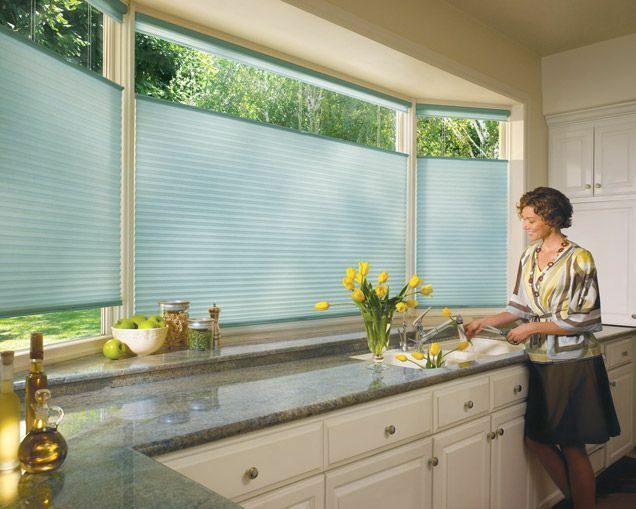 With the same front side outlook as cellular shades, there is not light leaking from the drilling holds as regular pleated shades. 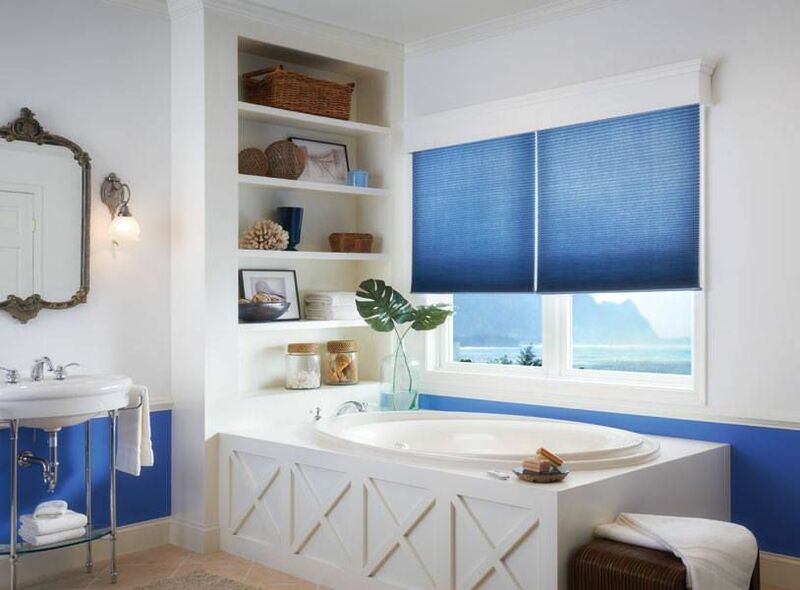 Mean while, unlike the very limited choices for pleated shades, there are hundreds of different color and patterns like cellular shades . 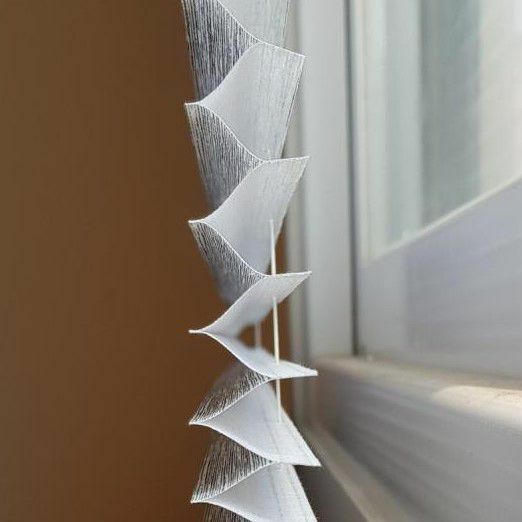 Sheer shades are unique, these exquisite soft window shadings combine the soft look of shades with the functionality of blinds. Sheer shades offer unparalleled beauty and performance. 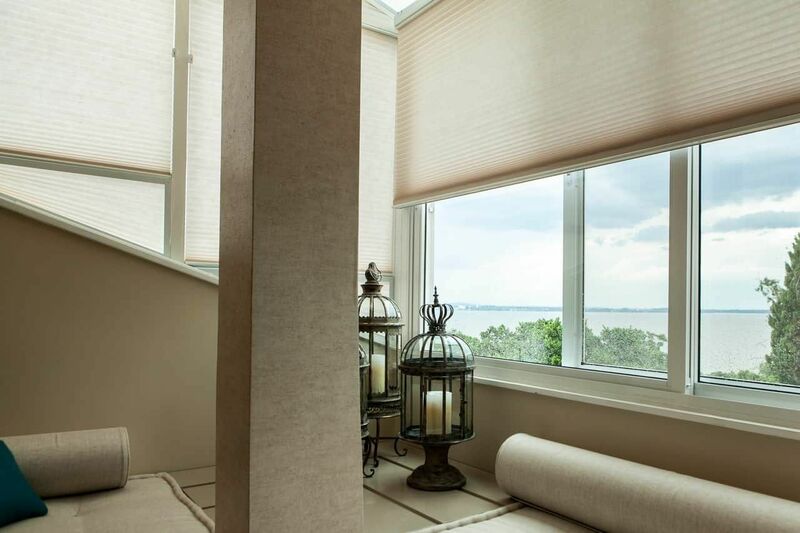 Horizontal sheer shades fabric vanes float between two layers of soft, knitted fabric sheers revealing a diffused view when open and full privacy when closed. 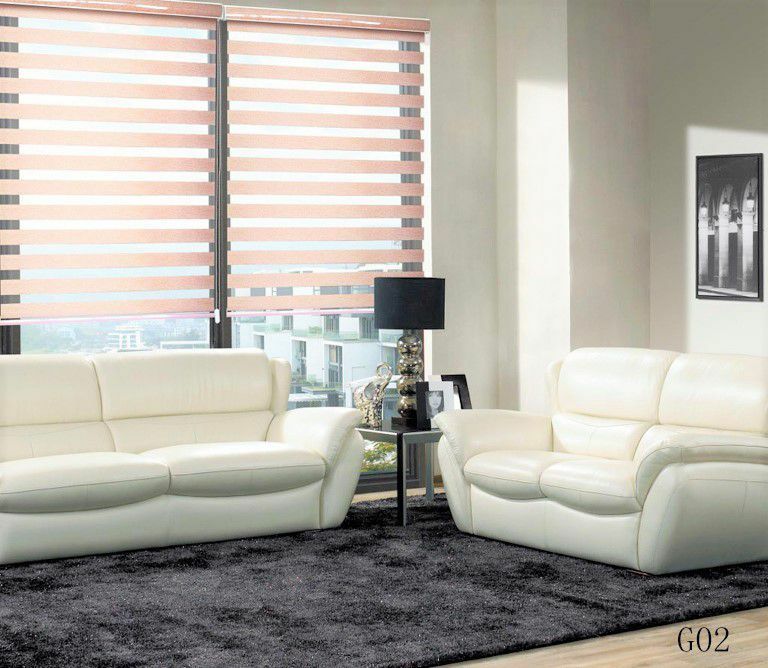 The fabric blocks almost all of damaging UV rays, and the room darkening shadings also block most light.